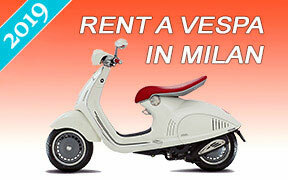 Scooter rentals Barcelona, moped hire Barcelona. The most convenient and cost effective way to HIRE A SCOOTER IN BARCELONA, SPAIN. You can rent from a small to a maxi scooter via Motoroads.com - 50cc, 125cc, 250cc, 650cc. Our Barcelona moped rental fleet in Spain is built of reasonably priced new scooters available at low rental rates inclusive of insurance and road assistance. We also offer, all kind of useful scooter gear, accessories and equipment rental in order to make your trip safe and enjoyable. Being long in the scooter rental service, we know what you expect from us, and how to treat you - CUSTOMERS SAY IT ALL! Cheap scooters for rent in Barcelona. You can rent 50cc, 125cc, 250cc, 650cc scooters online on motoroads.com. Booking is safe and easy and takes a few minutes. Scooter rentals are available for collection at different locations in Barcelona. Renting a scooter is an excellent way to travel in Barcelona and the surroundings. We provide scooter riding equipment upon request and we are always happy to assist you with your moped rental in Barcelona and Spain. Contact us for our scooter rental services in Barcelona.